The Steam platform is the favorite player of the computer, and there are several reasons for that. Steam contains a huge online range of computer games that can be purchased through online transaction and then downloaded directly to your computer. In recent times, Steam has only gained success, primarily because gaming is usually cheaper to buy through Steam, and at the same time the consumer's internet speed has become significantly faster so it does not take long to download the games. But even though you have a fast internet connection, Steam has certain limitations that you just have to check to make sure you get the fastest download speed through the game platform. Below is a clear guide that shows how to check that Steam does not limit download speed. 1. 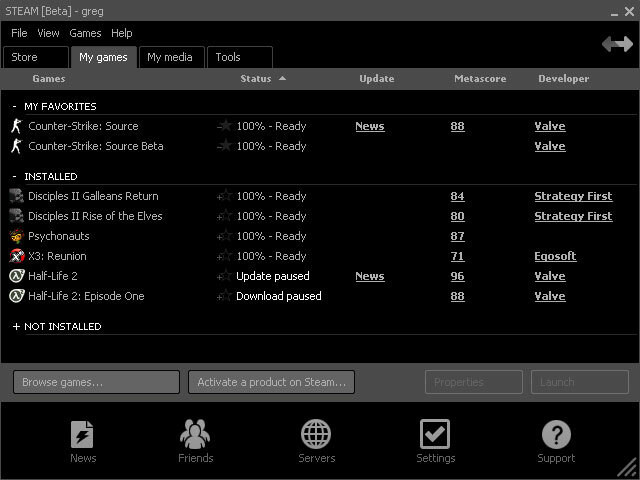 Start opening Steam on your computer, if you do not already have Steam, you can download the program here. Steam is free to download and use. Make sure your Download Restrictions section looks like the above. The most important thing is that 'Limit bandwidth to' is the choice for no restriction. As seen below. The remaining settings can be rounded as desired. If you do not feel the greatest improvement in speed, then we recommend pressing ' RYD DOWNLOAD-CACHE'. After the last step, be sure to reboot Steam to enable the changes, then enjoy fast download speed. After setting up unlimited spilled downloads, it may be useful to investigate how fast a speed is available. This can be done in several ways, but the most obvious is to take a speed test, and we recommend using SpeedTest. SpeedTest is a software that can test speed as well as stability and connection behavior. A free trial of SpeedTest can be downloaded here. With everything in place, it's just about getting downloaded games. The game store in Steam has a huge range of games - both new and old releases. Games must of course be purchased before they can be downloaded, unless they are released for free. Regarding prices, Steam is generally significantly cheaper than alternative purchasing options. You may be lucky to find a game key for Steam from third-party websites, but please be aware that the website is credible. One can soon be cheated by the fact that one's game key does not appear - or it does not work. A worrying thought you can avoid by buying directly through Steam's game store.